Go-go music filled a Northeast Washington park Friday, as fans of Chuck Brown gathered for the opening of a permanent tribute honoring the late go-go legend. D.C. Mayor Vincent Gray and members of Brown's family were on-hand for the 11 a.m. dedication of Chuck Brown Memorial Park at 2901 20th St. NE in Langdon Park. 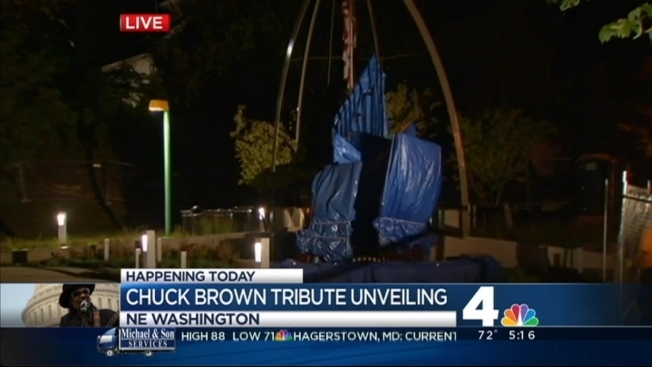 Friday would have been Brown’s 78th birthday, which Gray declared as Chuck Brown Day in the wake of Brown’s death. Brown was known as the godfather of go-go for his role in developing the music genre during the early 1970s in D.C. He died May 16, 2012 of complications from sepsis. The statue of Brown will feature a musical element and colorful lighting that will move in time with the music. There's also a mosaic wall that depicts Brown at various stages of his life and career. Originally, the city had planned to build a 900-seat amphitheater in Langdon Park to honor Brown. Those plans never came to fruition due to concerns about noise from those who live the neighborhood. Instead, the park features a plaza area with bench seating that can accommodate smaller musical performances. Despite the redesign, Katie Ford, who lives near the park, is still worried noise may be a problem. "My biggest concern is that it looks like they took out the amphitheater, but they designed it - I used to be an interior designed - to put a stage right there. There's electricity there, and I live within earshot of there. The celebration will continue Friday night, with a concert featuring Brown's band. 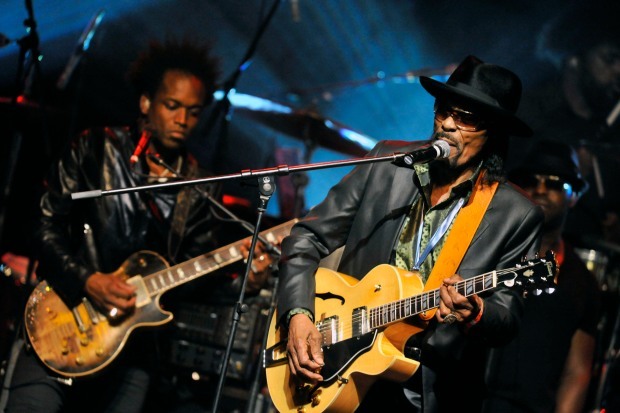 The Chuck Brown Bad released Brown's final album, "Beautiful Life," earlier this week. The show begins at 9 p.m. at the Howard Theatre.